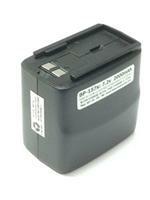 BP-131xh : 7.2 volt 2500mAh long-life rechargeable Ni-MH battery for ICOM radios. Fits the IC-W21A, IC-2GXA, IC-2GXAT, IC-V21AT, IC-M10 etc. Includes built-in microphone. Pack is approximately 2.75" tall. 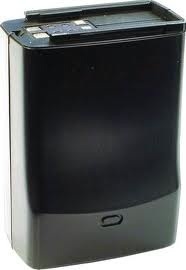 It can be re-charged thru the radio (if radio is so equipped), or with a desktop charger (such as EMS-79). Choose BLACK color or GREY color when ordering. These battery packs are made in the USA by BATTERIES AMERICA. EXCLUSIVE Batteries America product. 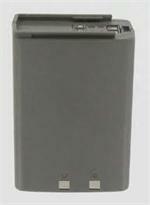 BP-157x : 7.2v 2000mAh rechargeable LONG LIFE Ni-MH battery pack for ICOM radios, such as IC-W21A, IC-2GXAT, IC-V21AT, IC-M10A, IC-F10, IC-F20, etc. Replaces BP-131, BP-157, etc. 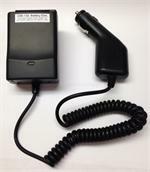 The BP-132sx is a 12.0 volt 2500mAh LONG LIFE high-watt rechargeable Ni-MH battery for ICOM HT radios. Pack is 3" tall. Replaces BP-131, 157, 132, 174, etc. Fits IC-V21AT, W21A, IC-M10, F20, 2GXAT, etc. Choose Black or Grey.